Communications-What questions do you have about club communications? Rotary Foundation-What questions do you have about the Rotary Foundation? Talk to your club about getting approved for grants. Bring along the signed form to get approved for next year. At Breakfast with Santa in East Hampton a lot of different things happen. Many of our club members come to help and we spend lots of time chatting and enjoying each others' company. So this is a great example of Fellowship at a Service project. The club provides breakfast without charge but we do ask those coming to bring a gift for the Food Bank. event. On their way to seeing Santa and the Mrs. The Interact Club has many members in attendance and they love it. They organize the visit with Santa, the taking of pictures, there is always a line for the Santa visit. The Interact Club also does face painting and there is also an Amber Alert sign up. All these things go on throughout the event. This video was prepared by Rotary District 7980 Governor Larry Gardner last year. It is a great video on how to lead a Rotary Clubs. We will share it with the President Elects this year. Each year the District 7980 Interact Board organizes a Fall conference. This year the theme of the conference was to help the Interactors improve their clubs and it was held Sunday, November 18. The group split into five break out groups to discuss various aspects of running an Interact Club. Funding and projects, District Interact help, communications, etc. The exercise is to emphasize the importance of participating and helps bring more students into the conversation. Here is a link to the presentation on the Foundation just click on it to go to presentation. PDG Paul Mangels expressed the importance of a President in keeping track of finances and making his budget early. All while working with the clubs' financial structure. Leadership is a key part of the Presidents job. It requires working with others and getting agreement on plans, budgets etc. See some elements of the handouts. There will be lots more about how to lead. Governor Larry talked about membership. In his talks to clubs he spends quite a bit of time on membership, so many of you have already heard some of his comments. There are two parts for membership a)acquisition of new members and b) retention of members. There will be seminars to help us all understand best practices in each of these areas. Some clubs are doing a great job on membership and we need to understand what they do. This will continue to be a focus next year and we will discuss it further in January. We all get new ideas from various sources. At PEOs and at PETS meetings other President Elects and AGs and others are a great source of new ideas. You should seek out new people, talk with them and ask them how they do the things you're interested in. Of course but how to do it is the key. PDG Trish talked about how to communicate with your club and with the outside world. She mentioned Facebook, Instagram and other social media as important. Also she commented that you don't have to be the expert, find someone to help you. Remember delegate, under leadership. She also mentioned the value of our District database and website in helping you communicate both within your club and outside. More on this at PE Tools on January 28. Ø Working with your Board and Committees map out a calendar for next year including service projects, fundraisers, fellowship, Rotary Day, etc. On Saturday, November 10th, the Plainfield Rotary Club hosted a Thanksgiving dinner for the Youth Exchange kids from districts 7890, 7980 and 7910. 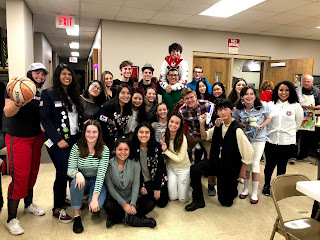 The interact students in Plainfield hosted the kids over night Friday and then they had a dinner Saturday for all host families and invited guests. It was wonderful! They went to Salvation Army to find costumes for randomly chosen characters and had a "showing" at the end of the night. It was very fun! Here is a picture of all the kids from the event. Rotarians from our Area 3 got together to talk about the things Rotary does to support our Youth. 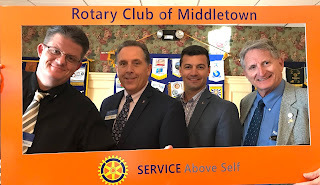 Thanks to Chris Hoeffel, and Tribury Rotary Club. Here are some of the programs we do. Next Generations is a one day conference to allow high school students to discuss issues that are important to them. It is facilitated by high school students. RYLA is a three day conference to teach and convey leadership skills to high school students. 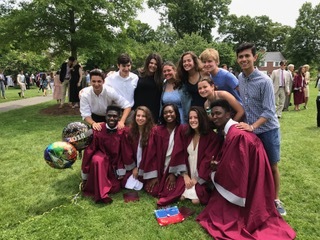 There are three student directors and the facilitators(family leaders) are all high school students. RYLA alums who are now Rotaractors play a key role in making this an amazing program. The typical comment from high school students after RYLA is that "it changed my life". Two RYLA students at this Area 3 meeting confirmed that "it changed them". Interact are high school clubs which do service at their school and in their community. We probably have 55 in our District and over 1500 members. 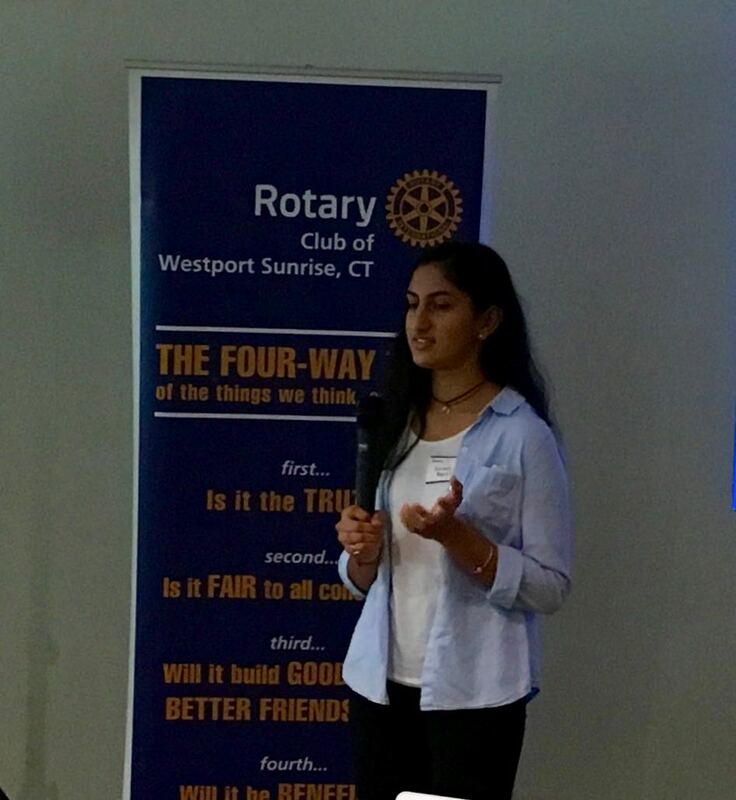 There are several Interact clubs in Area 3 and there was considerable discussion on how to make them better. 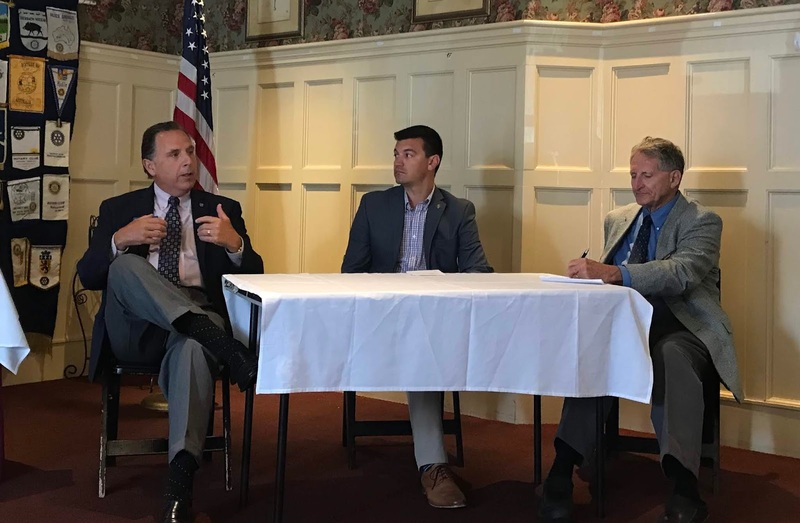 An Interact school advisor from Pomperaug was at this meeting to give the school perspective. Also a principal conveyed his strong support of Interact. The advice given was 1. let the students take the lead, 2. encourage joint activities between Rotary clubs and Interact clubs and 3. ask the students to stop by the Rotary Club regularly. Rotaract is a college age and beyond program. There are service clubs which can be in communities and at colleges. Some of our Interact graduates and RYLA alumni are in Rotaract clubs and do some wonderful service projects. The club at Yale provided medical equipment to Turkey for Syrian refugees last year. Four Way Test speech contest. Every year high school students compete in a speech contest which incorporates the Rotary Four Way Test. The students prepare an up to 7 minute talk and give it in a competition with other students. The winners receive a financial award but everyone even the audience is more knowledgeable and inspired. Global Leadership Initiative is a five day workshop to teach students 18 to 30 leadership and success skills. It has had interest from participants around the world. A very simple project that many clubs do every year is giving away dictionaries. The third graders love and cherish their dictionaries.There is so much more in our dictionaries than words. years, the Periodic Table in those early dictionaries are no longer correct. about 8 grandchildren of the Rotarians present in the group. the Rotarians whose grandkids are there, a real positive experience. The Division Series between the Red Sox and Yankees was about to kick off. The Milford Rotary Club was meeting and debated the merits of the teams. Well not really. It's baseball. And by the way there was a Jets fan defending his forecast, that the Jets were a future team to be reckoned with. Us Jets fans have heard that before. So back to the Yankees or the Red Sox. Here's the sargent, not partisan much. Baseball hats from the competing teams at the podium. Some vintage hats here. 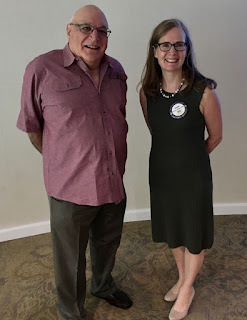 A fun Rotary Club meeting. The speaker talked about RYLA. Go Yankees/Red Sox. Next Generations conferences are arranged by Rotary but organized and facilitated by students. 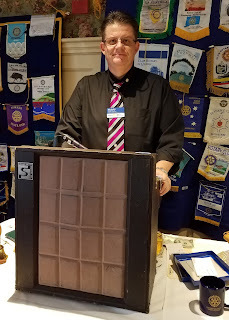 In District 7980 in southern Connecticut we have a conference in February each year. Hear are some comments. Evani Dulal, a junior at Trumbull High School, talked last Friday to the club about her participation the Next Generations program. 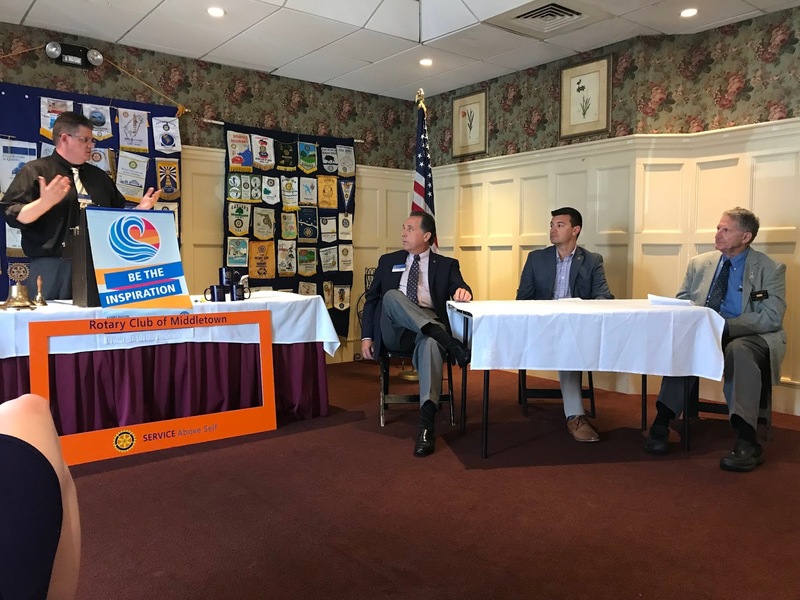 Next Generations is a one day, Rotarian organized, youth directed workshop in which 150 students from across our district meet in small groups to discuss “topics that aren’t traditionally discussed in school,” topics like human sexuality and human growth. 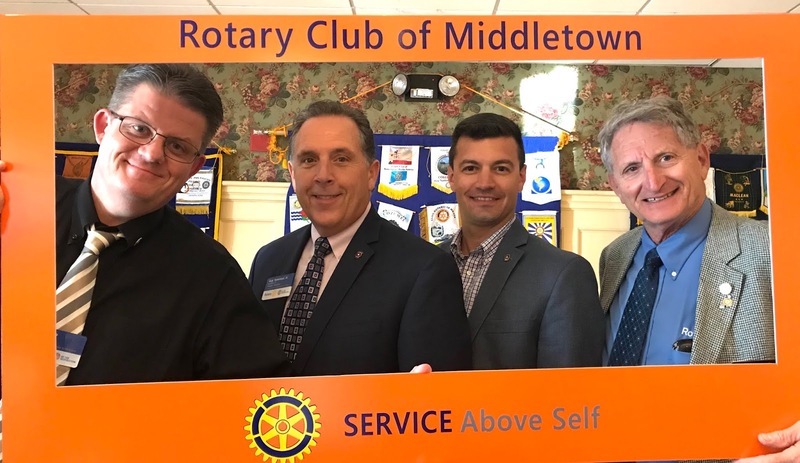 The program provides a forum for open discussion — most sessions are adult free — and so helps these teenagers discover “who and what they are,” in the words of Dave Ullman, a Hamden Rotarian, a Next Generations leader since 1996, and a retired Milford High School History teacher. 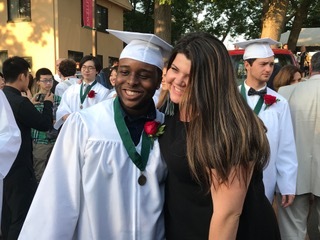 Ms. Dulal called the mix of students and the range of perspectives “eye opening.” She recalled a session on racial inequality she attended as a freshman that stood out because of the breadth of the group’s perspectives. He closed by mentioning the variety of Rotary youth programs, from middle school, through Interact in high school, then Rotaract for college students; the one day Next Generations and the weekend RYLA. There’s the Four Way Test Speech Competition, Youth Exchange and the World Affairs Seminar. There’s UN Day. 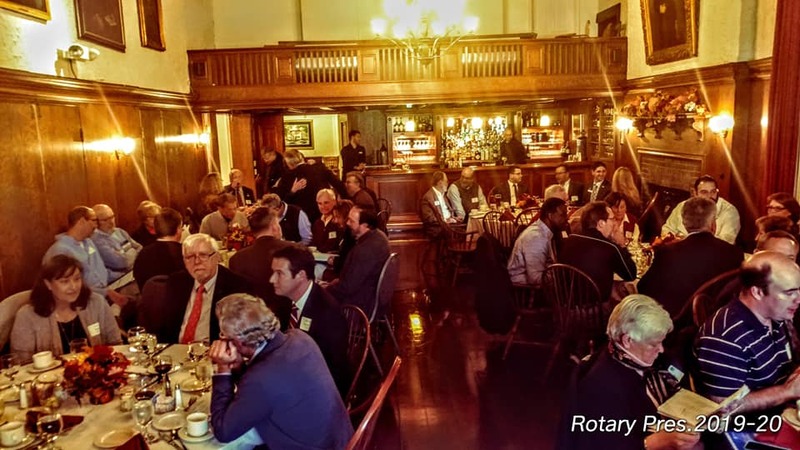 And the Rotary Foundation offers scholarships to college graduates and professionals to study peace and conflict resolution, fighting disease, providing clean water and sanitation, saving mothers and children, supporting education and growing local economies. Next Generations, along with Rotary’s other outreach programs, offer opportunities to bring Service Above Self to a far wider audience, to afford young people avenues to learn about and impact a world well beyond their own communities.